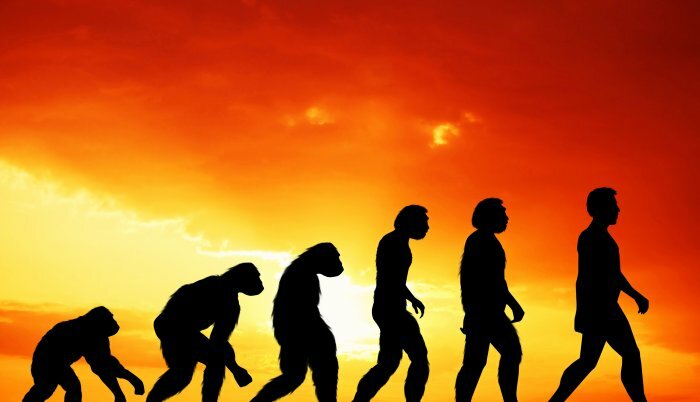 The debate is open on human evolution. But what is more intriguing to me is what if there is another species evolving later, like now. What if another species is evolving and we could potentially be competition for them. How would humanity fair in a world where we are now the hunted and something else or someone else is the hunter? That would mean that we are now forced to come together to fight something that we have in common that is a detriment to our species. How would this likely effect us even if we were to be able to defeat the common enemy? Man ventured out and over time reintroduced ourselves not knowing how we left to start with in history. Meaning when man left Africa into Europe, once the two sides met again, one took on a totally different look than the original. So to the opposing sides they were hostiles, but were really distant family. Problem with another species competing with man, is that all that we have ever experienced must be set aside for cooperation. How do you cooperate in a world that made you feel as if you were fighting each other over something important. So, we would actually be prey for a while before we realized we were being hunted because we have fought each other for so long. We seem to think that species has to be human in form to overtake us. But we are in a different form than the food we consume. So maybe the form of the species could potentially exist in a form of something close to us, a family pet. It all sounds sci-fi, but we are here why not anything else just as dominant. I guess I am thinking about this because man is not a special as we think we are; there are more powerful forces. So to think about one being the prey to a greater predator is not far fetched. Maybe not in 100 years or even 1,000 years, but how about 100,000 to 500,000 years into the future? But you’ll never get that through the minds of people until it’s too late.